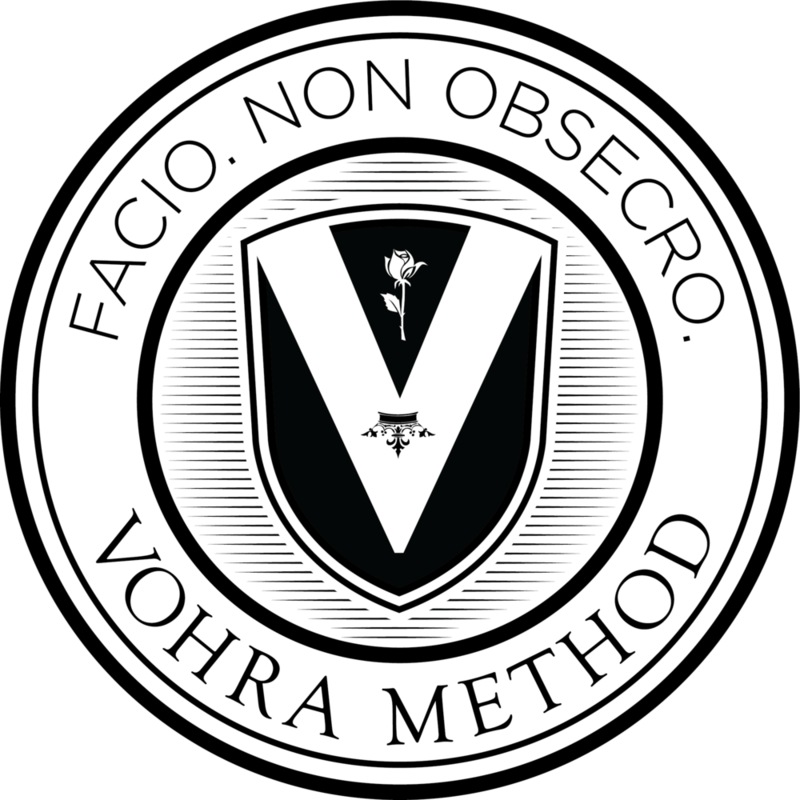 Vohra Method SAT training is the hardest, most intensive, most elite SAT training you'll see anywhere. It looks very different from other programs. If you have done another SAT program before, we can absolutely guarantee one thing: Vohra Method SAT training will look nothing like that program. But, it will have a lot in common with pro-athlete training! Pro-athlete training camps usually begin with several weeks, or even months, of physical conditioning. Running, lifting weights, calisthenics, etc. During this time, there are no games or scrimmages. The athletes are just getting stronger. In the next phase, athletes continue that conditioning, but add on some skill drills. That includes drills for throwing, passing, hitting, etc. Those drills are a little closer to the game - but there are no games yet. Towards the end of the training camp, scrimmages and practice matches begin. That's where all the hard work is refined and polished, getting the athlete ready for game day. Vohra Method SAT training is a lot like that. For the first 50 percent of training, you'll be building up your intelligence. Many of you are already straight A students, academic legends in your schools, and may feel that you don't need to get any smarter. Look at it like this: professional athletes are usually much, much physically stronger than 99.9999% of people. However, in their training camps, they start out by getting even stronger. Even if you're smarter than everyone in your school, we're going to first make you even smarter. If you have a lot of academic difficulties, don't worry: through our program, you will rise to the top of your class, and maybe even a bit beyond! That first phase, the getting smarter phase, is the most important phase. After that, you'll be doing practice sections, just like a professional football player may do throwing, catching, or tackling drills. Finally, you'll do practice tests. That's similar to the practice matches and scrimmages and professional athletes do. The first phases, in which you built your mental strength, will make this phase more effective. At most SAT programs, you'll train with all the seriousness of grandmas standing in a pool, doing "water aerobics" (also known as "standing"). At Vohra, you'll train for the SAT with the intensity of a professional athlete. Welcome to the elite. Below you will find links to our checklists. You can use these to determine how far you've gotten, and how far you have left to go. We also work with other subjects that do not have checklists, for example: US History, World History, English Literature, and English Language. If you have any questions, feel free to email us. This is the Vohra Method SAT checklist. It lists all the worksheets that need to be done in order to qualify for our guarantee and dominate the SAT. We guarantee a 300 point improvement or 1500+ total on the new SAT (which is out of 1600). In order to get this guarantee, you must finish everything on the checklist. From your email reports, you can see what you have completed, and how much is left. Note that if you forget a technique, you will obviously repeat the worksheet. If you like, you can review the worksheets you have already completed. The new SAT Math section is out of 800 points. If you complete only the items on the Math section of the checklist, you qualify for our Math section guarantee: 150 point improvement or 750+ total. Phase 1: Struggle Builds Intelligence. In this phase, you struggle through hard SAT problems to make your brain physically smarter. We work with primarily level 5 problems (the hardest problems). As an analogy, this is like lifting weights...for your brain. These are the ultra-advanced SAT problems and responsive worksheets that will help you get that 800 math score. This quiz contains hard questions taken from each of the worksheets. If you get a question wrong...you redo that worksheet, and then redo the quiz. It takes most students 5 or more tries to get through the quiz. Can you do it in 4? In this section, we’re going to fix your remaining weaknesses. Every problem you get wrong on a practice section, you’ll do a ton of problems like it, turning every problem area into an ultra-strength. You do a practice test. Then we go over every single question you got wrong, in class. For most problems, you will also do one or more worksheets about that problem. This is the most critical phase. This is not just a testing phase; it is an important learning phase. The earlier phases made you smart enough to learn about the SAT. In this phase, you’ll learn about the SAT. The other phases were like lifting weights. This phase is like a scrimmage. Your hard work has prepared you to learn about the SAT at the expert level. In Phase 6...you actually learn about the SAT at the expert level. Once you’ve completed phases 1-5, your score is now guaranteed. Here’s how it works: if you don’t get the desired score/score improvement, you can now come to Vohra SAT class for free for up to one year (or until you get the target score. About half of our students hit their target score on their first test. The vast majority hits it on the second test (sometimes, people are a bit nervous on their first test). Here’s the guarantee for the new SAT: for the full test, 300-point improvement, or above 1500. For math only, 150-point improvement or above 750. Here are some of the follow-up worksheets you might do. You can also do these before your first test if you prefer. You can also do these before your first test if you prefer. The new SAT Verbal section is out of 800 points. It combines Reading and Grammar. If you complete only the items on the Verbal section of the checklist, you qualify for our Verbal section guarantee: 150 point improvement or 750+ total. At school, you've probably learned to read with all the precision of a baboon. Now, you're going to learn to read with the relentless, unstoppable precision of a lawyer. It's going to be hard, and you're going to get smart. In this phase, you'll start transform your reading ability into a formidable weapon. You'll learn to think with flexible, unstoppable logic. You'll learn to see hidden subtext and tone like superman with X-Ray vision. Most students will do Phase 0 before Phase 1; highly advanced students will start at phase 1. Phase 2: Struggle Builds Intelligence, Part 2. We'll be pushing your mind to a higher level, adding harder grammar, harder logic, and impenetrable subtext. You will also start working on full practice sections from real SAT tests. Phase 1 was like lifting weights. Phase 2 is like lifting...much heavier weights. If you plan to do the optional SAT essay, you’ll do this training. Like the elite of ancient Rome, you’ll study rhetoric, and learn how to use and analyze it on the SAT essay. Phase 5: Practice Tests with in-class followups. Phase 1-4 made you smart enough to learn how to demolish the hardest SAT problems. Now you will learn how to demolish the hardest SAT problems. In other words: Phases 1-4 were like lifting weights for your mind. Phase 6 has the scrimmages. You'll do the tests at home or in class. Then we'll thoroughly go over every single question you get wrong, in class, and do whatever worksheets are necessary. Here’s the guarantee for the new SAT: for the full test, 300 point improvement, or above 1500. For verbal only, 150 point improvement or above 750. Here are some of the advanced topics you might do in order to get to an even higher level. Note that you can do these topics before your first test if you like.